Craig Jones is a young central midfield player who made his League debut for Hereford United towards the end of the 2008-09 season. Craig, who played youth team football for Cardiff City before switching to join the Bulls, was then on the bench for the first three games of 2009-10 before he was handed a start in the League Two game at Crewe. Craig retained his place for the Carling Cup tie at Portsmouth but was subsequently only rarely included in the first-team squad. 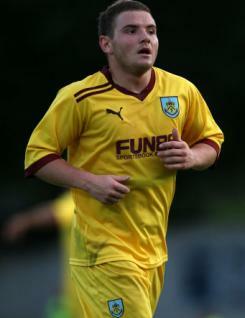 He was released in the summer and joined Midland Football Alliance club Westfields for 2010-11.